Rheumatoid Arthritis (also known as RA) is a devastating disease that is caused by the immune system attacking your joints, which leads to severe joint inflammation, illness and disability. RA is crippling over time, but there are things you can do to halt RA and improve your quality of life. The causes of RA are many, and often dietary problems, stress, and chronic infections are a trigger. RA is not an autoimmune disease that just needs to be suppressed with pharmaceutical medicine. There are MANY natural remedies and specialized therapies that are extremely effective. What Specialized Lab Testing I Perform on Patients, Including The Names of The Tests and Which Labs Provide Them. For example, Salivary Adrenal Testing is Critical For Anyone With Rheumatoid Arthritis to Determine The Function of Cortisol Production. Cortisol is Our Body’s Natural Anti-Inflammatory Hormone. Why Dietary Intervention is so Important, Recommendations For Testing (i.e. Gluten Intolerance), And How Metabolic Typing Can Significantly Help Patients With Rheumatoid Arthritis. Why Total Body Relaxation Therapy is so Helpful And The Use of a Device Called Cranial Stimulation. You Will Also Learn About Two Important And Inexpensive Therapies (But Commonly Overlooked by Traditional Rheumatologists) in the Treatment of Rheumatoid Arthritis. The Application of a Therapy Called Low Dose Naltrexone And How it Has Helped Countless Individuals With Rheumatoid Arthritis. If you or a loved one are suffering with rheumatoid arthritis, the information in this book is critically important. The information on just the use of LDN therapy and antibiotic treatment alone can be disease modifying in itself. However, implementing the other recommendations (such as dietary changes, nutritional supplementation, and ascertaining additional information from specialized laboratory testing) will put you on the road to recovery and empower you with knowledge and understanding regarding rheumatoid arthritis. You Can Benefit From The Information in This Book in Just Minutes! 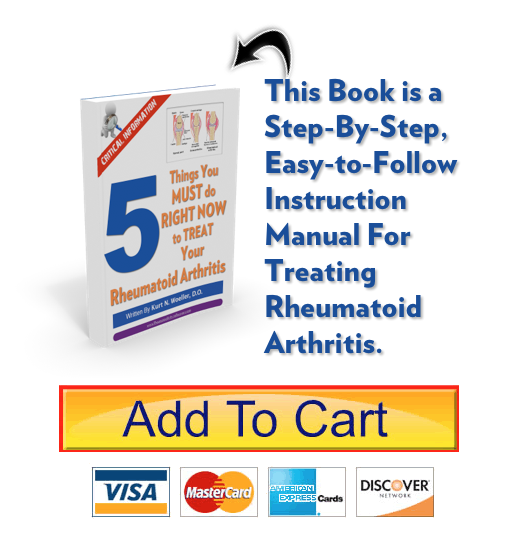 Dr. Woeller’s breakthrough Rheumatoid Arthritis Recovery book is just $27. It is an e-book that you download to your computer or mobile device. Once you purchase the book, you will be directed to a download page, where you’ll click the link and save the book to your computer. The e-book is in a .pdf format, so you can even print it out if you desire. The best part is, you can have this vital information in your hands in just a few moments! No waiting for snail mail or trudging off to a book store. You’ll have instant access to this book no matter what time of day or night you are purchasing it. 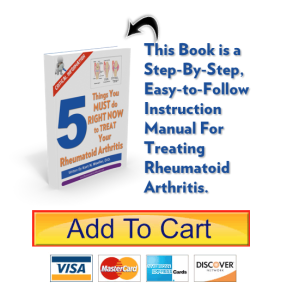 With your purchase of the eBook, “5 Things You MUST DO Right Now to Treat your Rheumatoid Arthritis” you will also be eligible for a phone or Skype initial consult with either Dr. Kurt Woeller, or Dr. Tracy Tranchitella – two Integrative Medicine Specialist Physicians with years of clinical experience in natural medicine. Your consult will be scheduled for 1/2 hour with one of our doctors, at the discounted price of just $150. During your consult you will learn what nutritional supplements can be helpful for your situation, and what laboratory testing is recommended (Your consulting physician can also order the lab work). You’ll also learn how specific dietary intervention can improve your condition. Any questions regarding content in Dr. Woeller’s book will also be addressed.